As usual , Pakistan army denied any such attack and to add on Defence Minister , A.K.Antony, in the Parliament said “The ambush was carried out by approximately 20 heavily armed terrorists along with persons dressed in Pakistan Army uniforms,” giving all good reasons to Pakistan to escape saying it may be some terrorist group in Pakistan army’s outfit !! 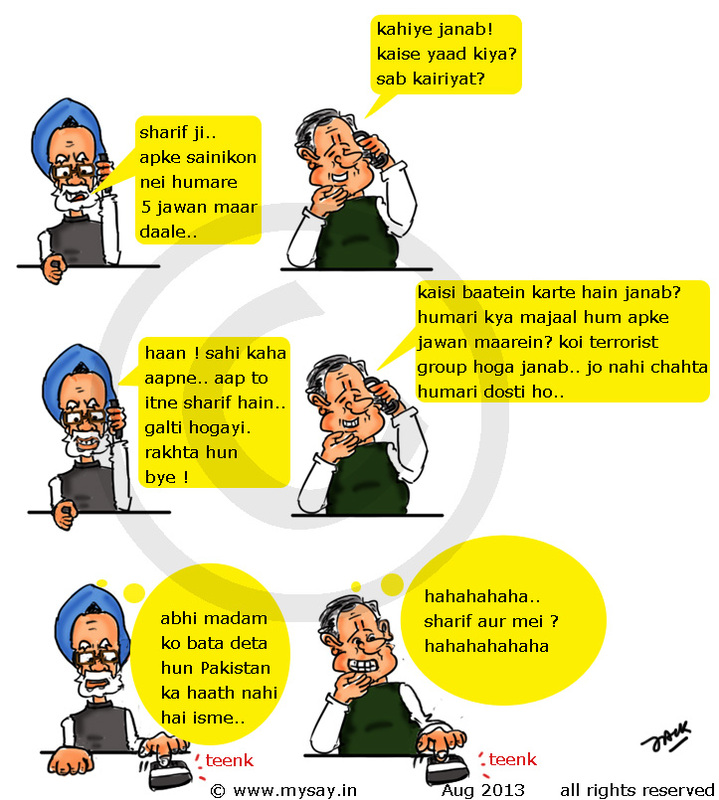 Typical manmohan singh ji who is a puppet!! Sab to Ganga Naha rahe hai yeha India pe,to Pakistan ne bhi socha “Hum Bhi Ganga naha hi lete hai ab”..
lol this one made me laugh again. I dunno for how long are we going to try to be friendly to our neighbors who in return r busy plotting heinous crimes. thanks Pankti 🙂 glad you liked it 🙂 i was smiling while typing them ! !